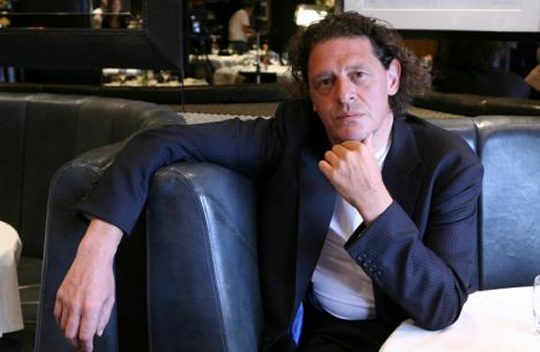 Marco Pierre White is taking the helm of NBC's upcoming Top Chef ripoff, Chopping Block, a curious choice to head up a reality show. White is known at least as much for his aggressive chain smoking, his three tumultuous marriages, and his extraordinarily abusive personality as he is for his cooking. That is, when he's known at all. 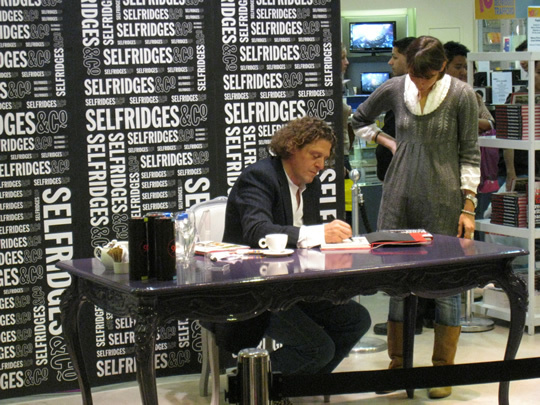 White is a rare contradiction: A bona fide celebrity chef, about whom hardly anyone has heard. Most of that ignorance, to be fair, is American. White, 48, is a superstar in his native Britain, where he deployed his considerable culinary talent to become both the first British chef and the youngest chef ever to land three Michelin stars. He's mentored (or at least employed) Mario Batali, Gordon Ramsay, and Heston Blumenthal, all of whom seem to have looked past White's tendencies to violently eject unpleasant patrons, or take a knife to a mouthy line cook's whites, in order to inherit White's unswerving dedication to food above all else. That is, most of them have. 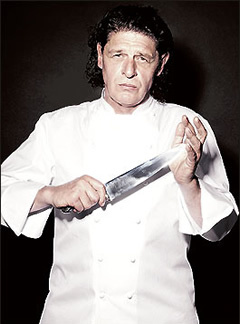 Ramsay seems to have taken to White's particular brand of kitchen absolute monarchy like a duck to its own fat, and perhaps as a result of this he's long served as White's bête noire. Or is it vice versa? The feud, in some ways, has become more famous than they are: their two vitriolic personalities clashing in titanic ways both while they worked together and, more publicly, after they parted ways. When Ramsay was running the kitchen at London's Aubergine, he famously insinuated that White had stolen the reservations book — and then later admitted he'd swiped it himself. So White sued him. So Ramsay smeared White in the press. So the countersuit was filed, and so on and so on. After handing in his Michelin stars (with a characteristically caustic dismissal, he said "I was being judged by people who had less knowledge than me, so what was it truly worth?") 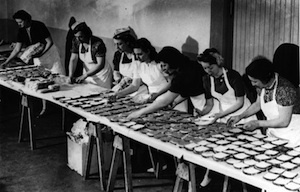 in 1999 and retiring from daily kitchen life, White has — among other things — thrown himself headfirst into a writing career. His bestselling White Heat, a book equal parts documentary photography portfolio, fantastical cookbook, and idiosyncratic philosophy text, was followed up by an autobiography (entitled White Slave on first publication in the UK, it was was renamed, Joseph Conrad-style, to The Devil in the Kitchen in subsequent editions). 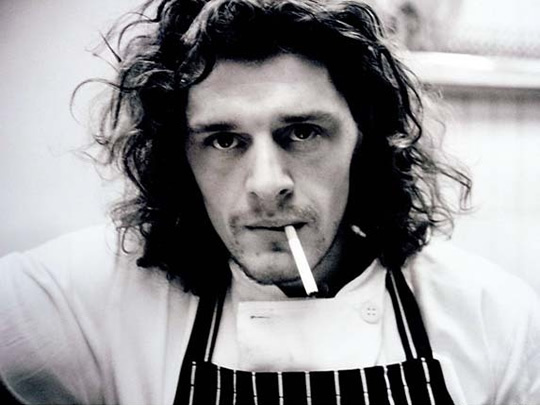 Even though he once scoffed at the notion of cooking on television — saying “As a TV chef, you dilute your currency" — in 2007 White decided to take over the hosting role on the UK edition of Hell's Kitchen, a show it is hard to ignore was created specifically for Ramsay. Once that bug bit, it appears White was ready for fame of a more international variety — the Hell's Kitchen producers pulled together an American adaptation of an Australian program, and White signed on to Chopping Block. The producers are appealing to his ego with promos that tout him as "the greatest chef in the world," and the show does seem to be, largely on the strength of White's involvement, one of the only food reality television shows to emerge this year that'll be any good. Nine years out of the kitchen (and a year's practice run in front of the cameras in the UK) seem to have both mellowed and sharpened his edge. As for diluting his currency by appearing on TV — well, that assumes he has any currency over here to dilute.